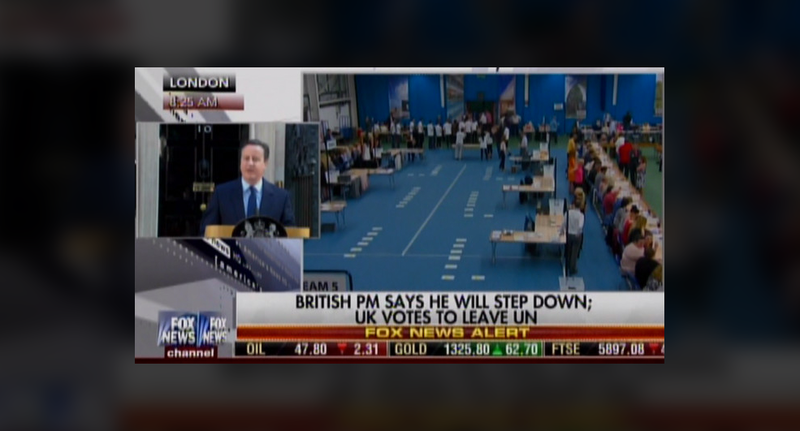 Someone at Fox News, in the midst of the flurry of “Brexit” coverage, mistyped two letters in a lower third — which lead the network claiming that the United Kingdom was leaving the United Nations. It’s also likely that the parallel structure of the names “United Kingdom” and “United Nations” may have caused someone to conflate the two names. The United Kingdom is one of the five permanent members of the U.N. Security Council, so its exit from the U.N., if true, would be very significant.